August 5, 2015 – Journal Entry. It’s not easy to write when I’m riding the ferry, surfing through mountains and conifer-domed islands, scanning the water for whale spray. But ferry travel is like Southeast Alaska’s train, a commuter’s paradise through island outposts. It’s one of those rare and quiet moments in transit where I can dangle between past and present, savoring the past while looking ahead. The casual salmon hops like a skipping stone in front of the bow. 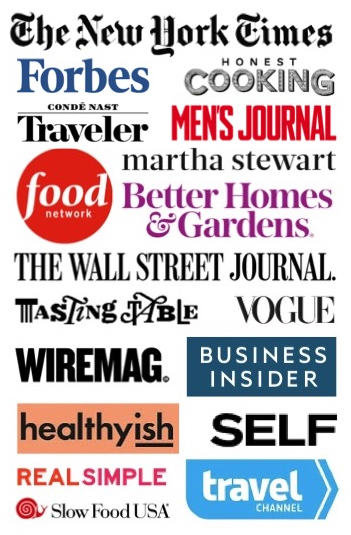 Alaska is salmon country: the uniting force that permeates every meal, career and conversation. Salmon is the reason I’m here. Wild Salmon symbolize the circle of life. 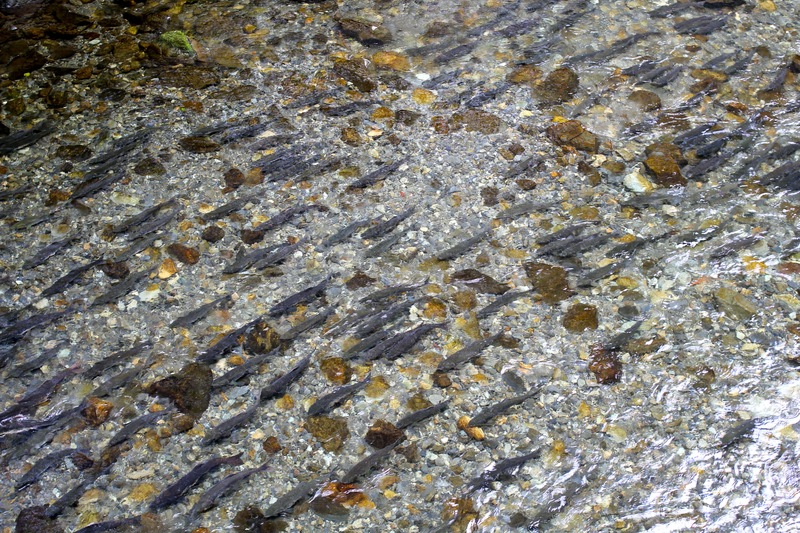 Pictured here are Wild Salmon running in the Indian River in Sitka’s Historic Totem Pole Park. 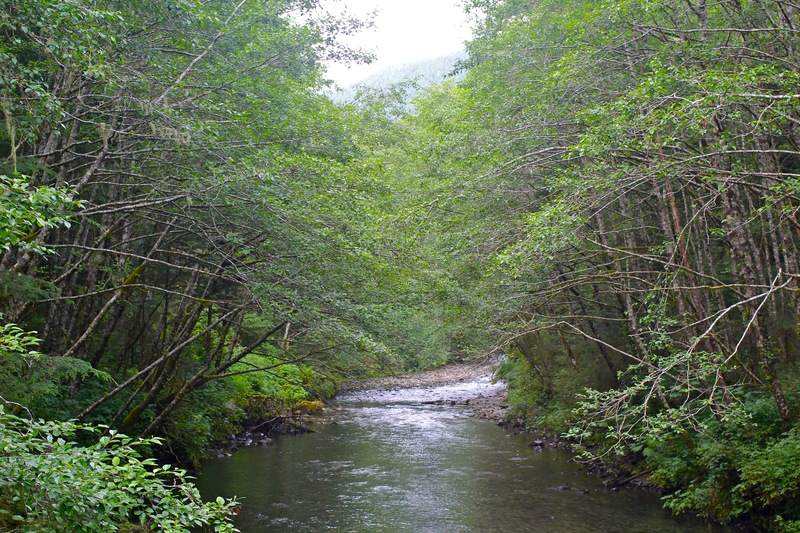 Wild Salmon are born in ethereal and nondescript forest creeks, where they return to spawn after living at sea. Once their eggs are buried, the Salmon dies, offering an abundance of minerals and nutrition to the trees, land and waters. 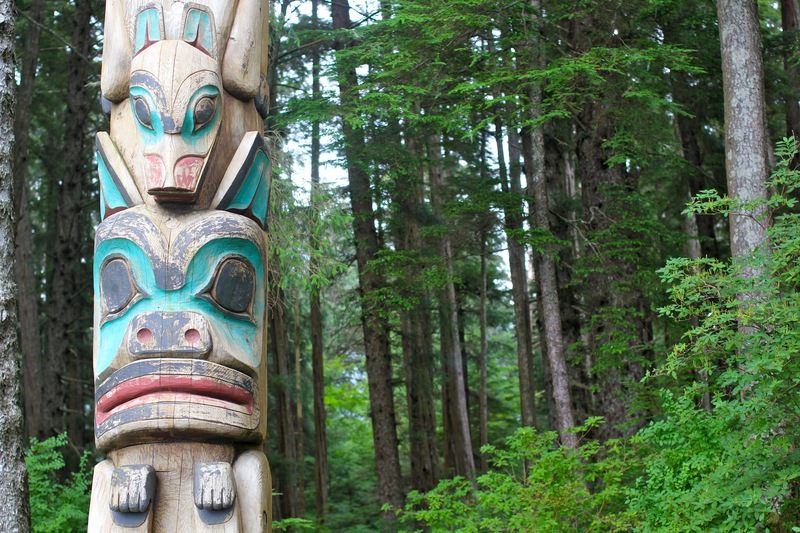 Totem Pol Park. Sitka, Alaska. 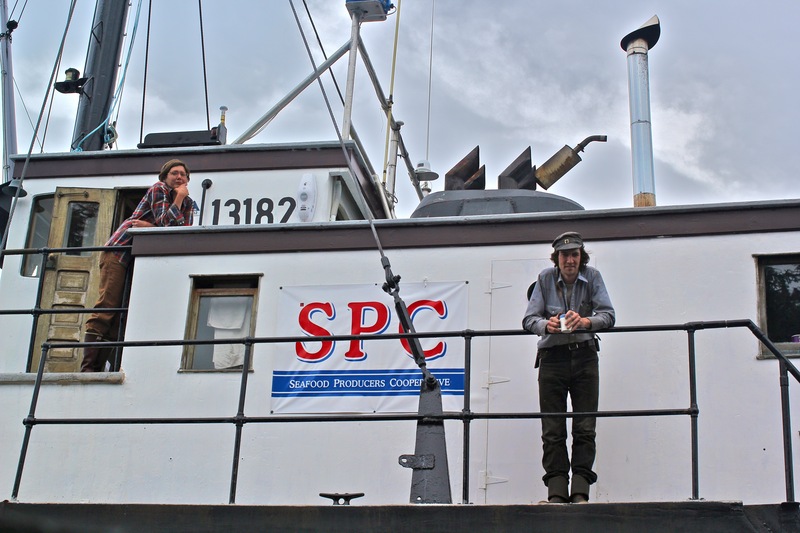 I was invited to attend the Sitka Seafood Festival by Rob and Carolyn Kinneen, “Alaskavore” Chef and media powerhouse who work enthusiastically to bring the Alaskan local food identity to the lower 48. 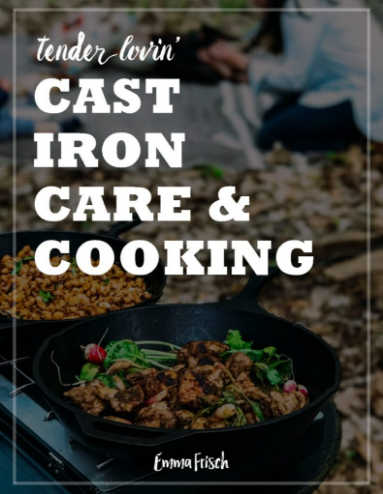 As a guest blogger and chef, my role would be simple: learn as much as possible about Wild Alaskan Salmon and share my newfound knowledge back east. Unlike the common tomato or egg, salmon’s origins are more elusive to the average consumer. As an ingredient, it seems commonplace, but the differences between Wild Alaskan Salmon and farmed (common) salmon are still hazy to most (and the latter is what we nearly always find on our plates). Wild Alaskan Salmon is like an heirloom tomato or a blue speckled egg – a flavorful, nourishing, heritage breed of food that has been carefully protected for generations. 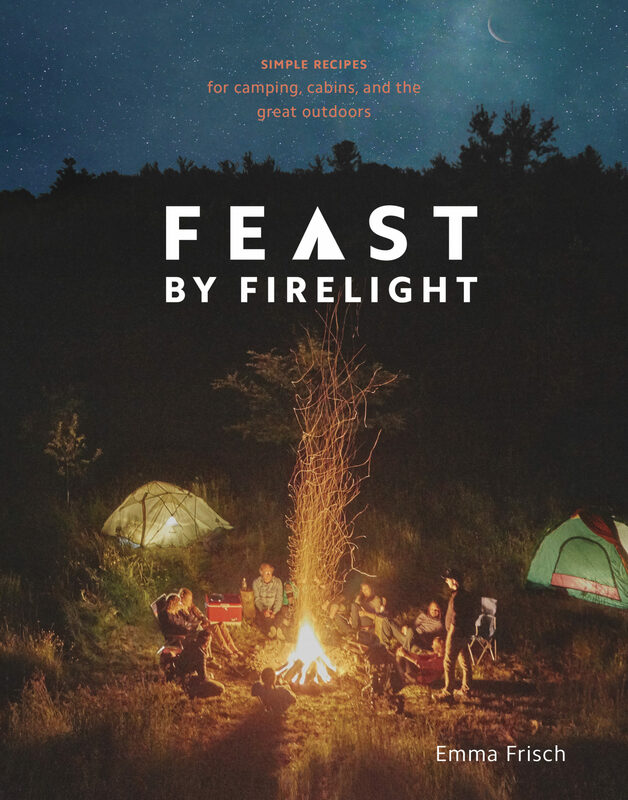 But most eaters in the U.S. have yet to make that distinction in the marketplace or on a menu. Why? My hunch is that when it comes to seafood – food from the sea – consumers have less contact with its origins. Although 40% of America’s population lives in coastal areas, a whopping 60% are landlocked. 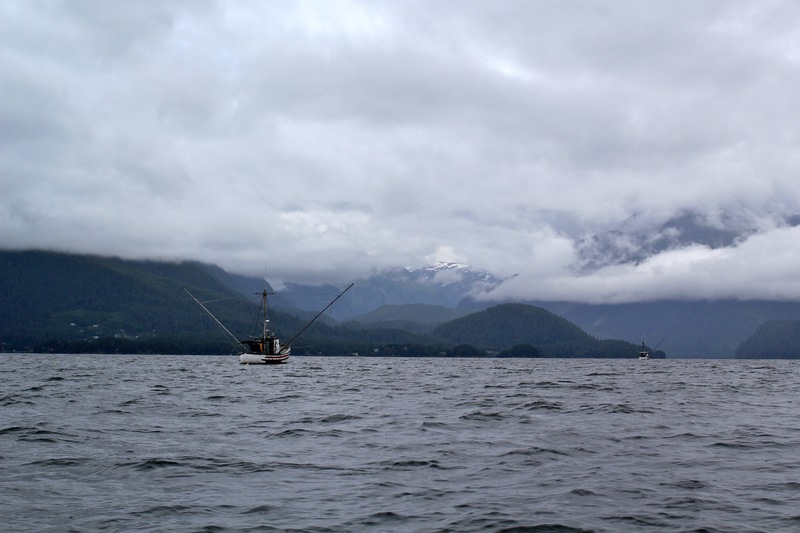 And of the 40% on the coast, only a smidge of those occupy the Pacific Northwest and Alaskan coastline, the last stronghold of Wild Salmon in the world. Alaska is the fourth least populous state in the country, and the city of Sitka, Alaska alone hovers around 9,000 in population. Salmon running in the river. When I met Amy Gulick on this trip (award-winning photographer and author of Salmon in the Trees) she said, “As I was taking pictures, I began to ask people what they would do without salmon in their life.” In her work and travels, Amy had witnessed how critical salmon was in holding together the fabric of Alaskan culture. Many of her photography subjects simply said, “I don’t know.” Few were willing to even think about life without salmon. Not only was salmon their bread and butter, but also their heritage, their sustenance, their parade costume, their art subject, their purpose in life … their sense of pride. Mark Titus illustrates this in his extraordinary documentary The Breach, taking viewers on a journey through the Wild Salmon communities in the Pacific Northwest and Alaska. Little did I know that I was about to embark on my own up-close-and-personal journey through Sitka’s Wild Salmon culture. Meet Kendall Whitney, all smiles and an appetite for life – and Wild Salmon! 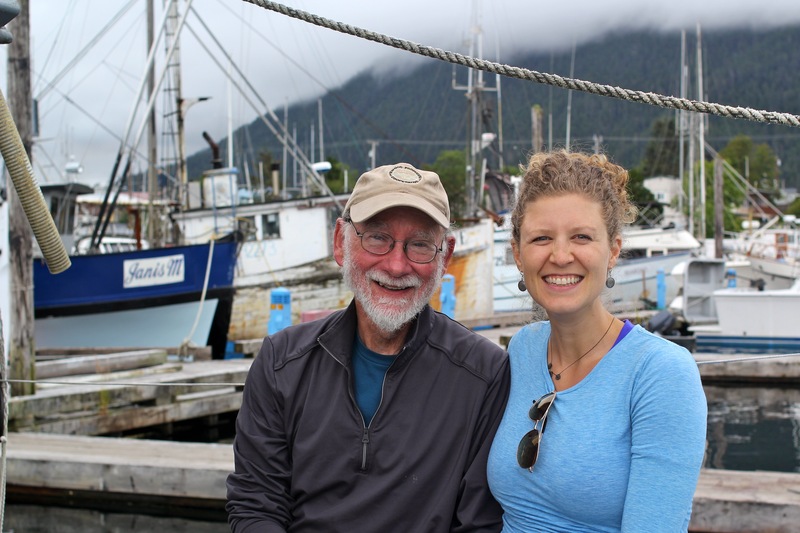 When I arrived in Sitka, I had the good fortune of being swept up by the hospitable and enthusiastic Kendall Whitney, the Marketing and Sales Director for Alaska Gold Brand. This is a guy who’s self-proclaimed church is “Salmon Saturday,” where he and his wife celebrate salmon with a new recipe every weekend. 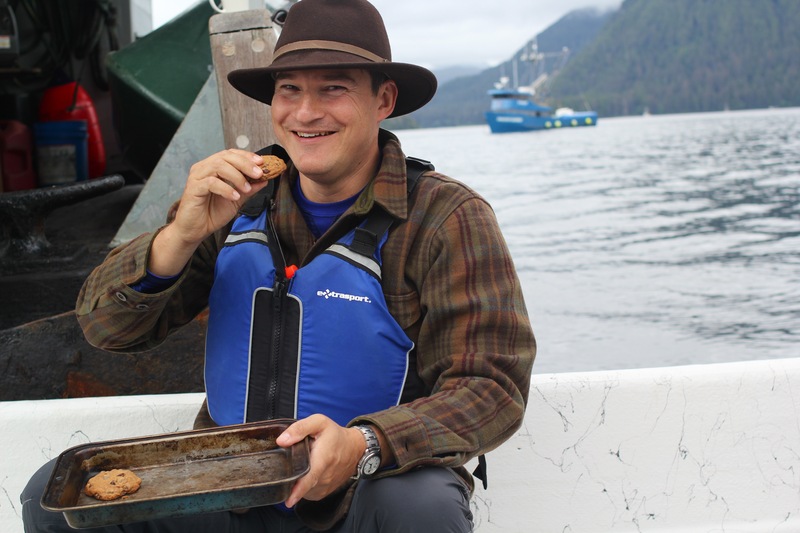 Kendall’s passion for and knowledge about Wild Salmon is extensive, making him the perfect tour guide. We started our day visiting Charlie Wilbur on his boat in the Sitka harbor. We quickly learned why Alaska Gold is unique. 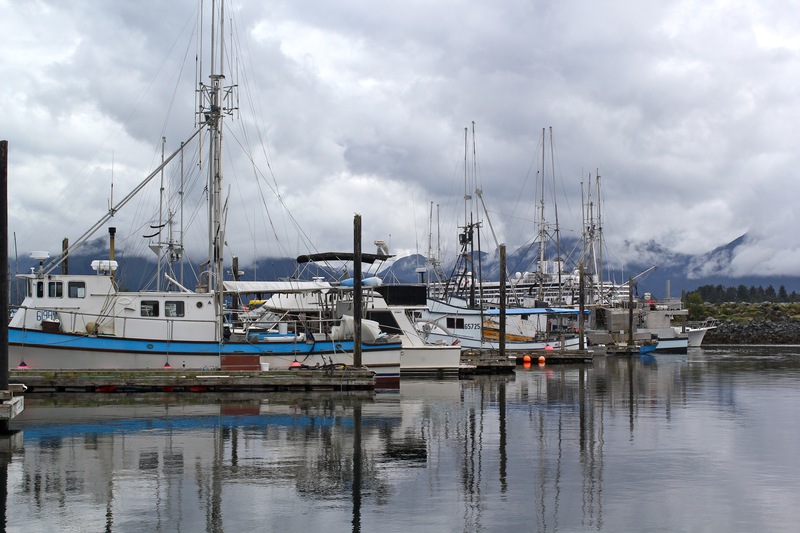 Established in the 1940s, Alaska Gold is the nation’s oldest fisherman’s cooperative. 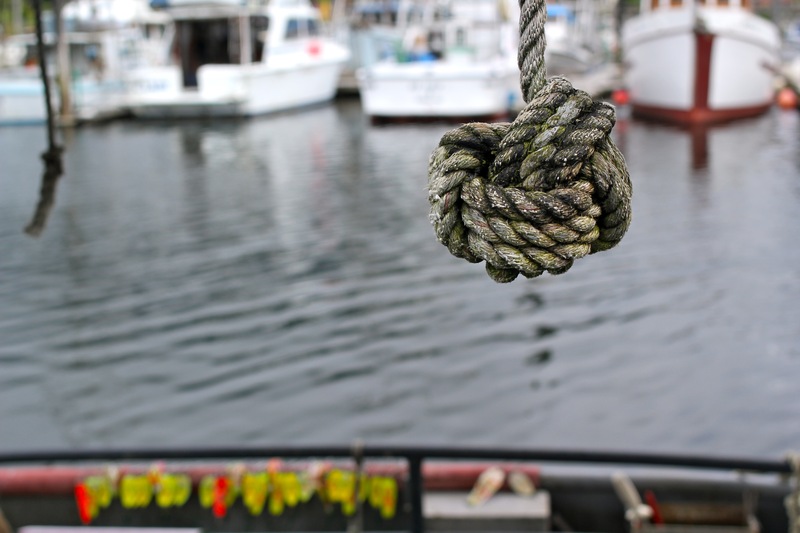 Together, 597 fishermen produce between 11 and 12 million pounds of Wild King Salmon and Wild Coho Salmon per year, distributed nationally and globally. (These are the Sitka sea’s reigning species of Wild Salmon). The co-op’s dedication to hook and line fishing, or trolling, ensures the highest quality seafood available. The harbor in Sitka, Alaska. 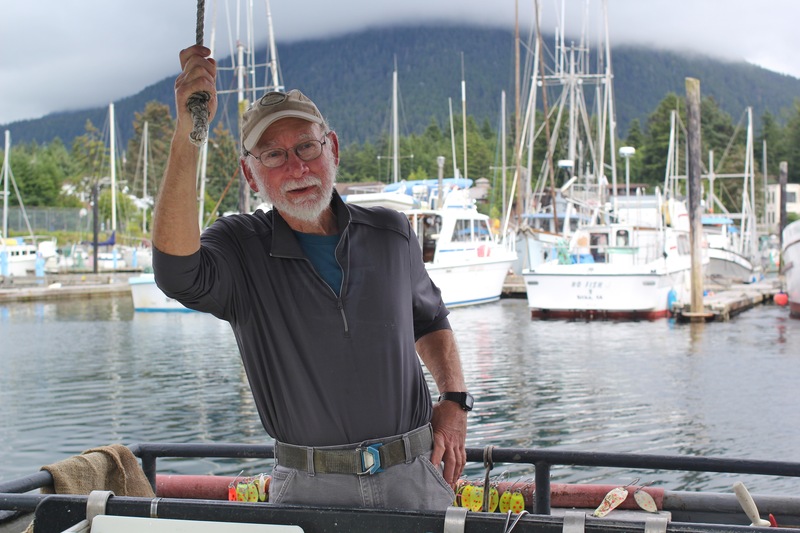 Charlie Wilbur, force of nature and Alaska Gold fishermen. Charlie joined the co-op in 1984, and said it was “the best fishing decision he ever made.” As a co-op member, he knows he’s getting a fair price. But more so, he knows the attention he gives to producing a quality product is carried out through every step of processing and distribution after the salmon leave his boat. He said something that stuck with me, “you can’t improve the quality of a fish, you can only preserve it.” And doesn’t this ring true for every ingredient we put into our bodies? With seafood in particular, the quality is first determined by the fishermen’s method of catching the fish and handling it once on board. This involves cleaning the fish (often removing the innards) and storing them in an ice slush until they can be off-loaded on a tender’s boat. A tender is a larger boat with more storage capacity, which brings fresh catch into the processing facility daily so that the fishermen can stay out at sea for up to five days. Back at the plant, every fish is inspected upon delivery according to rigorous standards. The captain of the tender boat, “The Otter,” salutes us with coffee in hand. The boat services Alaska Gold’s fishermen. It is one of the oldest tender boats in the area, a beautiful wooden relic. When I hear Charlie stays out at sea for nearly a week, I immediately became interested in what he eats. 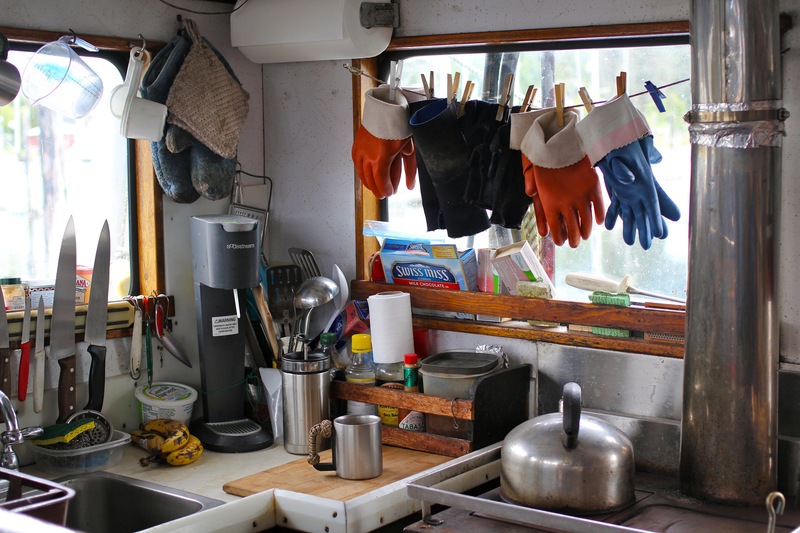 He gave us a tiny tour of his cabin, which included a neatly kept kitchen (with oven!) and an arsenal of canned and packaged foods that didn’t require refrigeration. I asked what he eats when he’s back on land. He said, “Oh you know, King Salmon one night, tacos the next. Coho Salmon the night after that, and chicken the next. Then back to Salmon.” His favorite way to prepare Salmon is baked with soy sauce and seasoning, or in warmer weather, on the grill. When Charlie describes his lifestyle, it makes me appreciate Wild Salmon even more. Apart from the long and isolated days at sea, with at most one other on-deck hand (who is not always favorable), Charlie reminds me “like farming, fishing is dependent on weather.” Rain and wind are prevalent at sea. But fishing is also an expensive undertaking. A trolling permit costs $40,000 to obtain, making the entry barrier for new fishermen high. This lends to a growing phenomenon known as the “greying of the fleet.” Further expenses go into gear and maintenance. The advantage of Alaska Gold is that, as a co-op, the fishermen share resources required for processing, marketing and distribution. 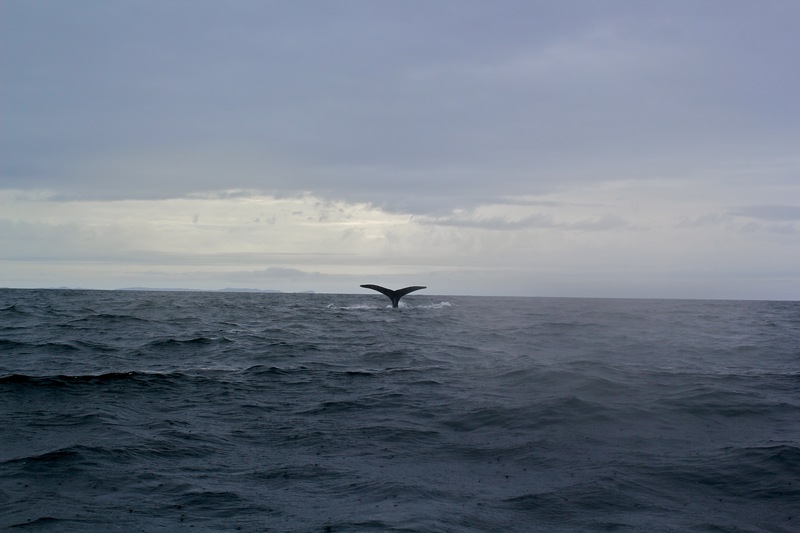 There are other perks too at sea, like spotting whales. Epic sighting from the boat later that day. After visiting Charlie, we surfed out to sea to watch fishing in action. The v-like poles are the classic “trolling” method. Each pole trails 8-12 lines through schools of fish. Before we say goodbye to Charlie, he leaves us with one last thought about the Wild Salmon that he and his fellow fishermen produce for Alaska Gold. He says, “It’s like buying a bottle of wine. There are some days when you come home and just want a glass of Mogen David. But there are some days when friends come over and you want to open up something really special. That’s what we have to offer.” I loved that, ordered my first box of Wild Coho Salmon Fillets, and never looked back. This is one of my mamma’s ingenious creations, which manifested from a jar of peach jam and other staples in her pantry. This crowd-pleaser can be on the table in fifteen minutes, with little effort and lots of creative substitutions. Well, except you absolutely cannot substitute one prized ingredient: the fillet of Wild Alaskan Coho Salmon! It’s also well worth getting your hands on pickled ginger from your local sushi joint or the Asian aisle at the grocery store, or making your own pickled ginger (fresh ginger will also make this recipe shine). Preheat the oven to 350 degrees Fahrenheit. Line a baking sheet with foil and place the Coho Salmon Fillet on top. In a medium bowl, whisk together the diced peach, tamari sauce, brown rice vinegar, pickled ginger, garlic, jalapeño, sea salt and freshly ground black pepper. 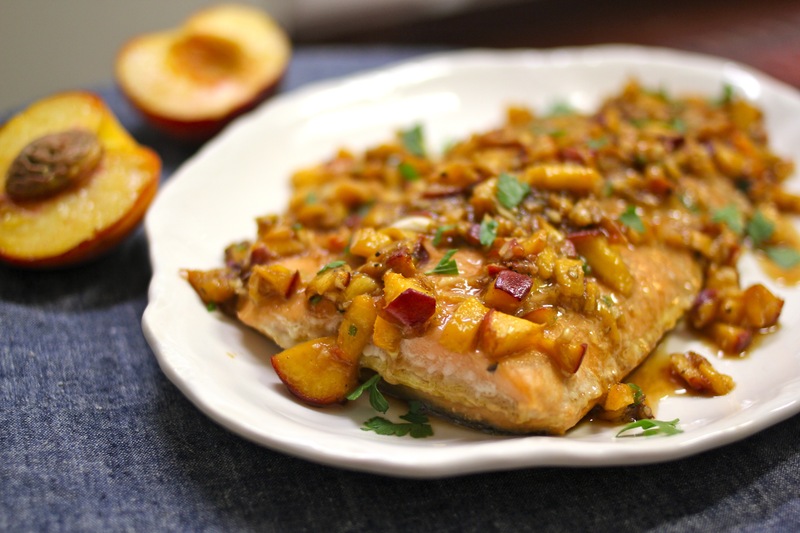 Pour the tamari peach salsa over the fillet. Bake the fillet for 10-12 minutes, until the flesh begins to flake and the thickest part of the salmon is pink inside.